Investors can now find the tax sale rules for all 50 states in one location using the new Tax Sale Guides by Jack Bosch. This system is a game changer poised to infuse new excitement into the tax sale real estate industry. With the release of Jack Bosch’s new training program, investors will have everything they need at their fingertips, only a mouse click away. Tax Sale Guides is the new training course that is turning the tax sale real estate world on its collective ear. The need for a centralized location for tax sale information has been clear yet no one has stepped forward to make it a reality until now. 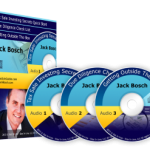 With the release of Jack Bosch’s new training program, investors will have everything they need at their fingertips, only a mouse click away. No more will deals lost and time wasted because of ignorance of the rules or the best strategies in each state. The ramifications for the industry as a whole and for Jack Bosch’s competition in particular is unclear at present but its safe to conclude that with this release the stakes are suddenly much higher for everyone involved. Tax Sale Guides reviews are pouring in and so are the testimonials from early users of this and other products from Jack Bosch and company who are known for bringing to market only the best produced, best organized and researched product offerings. Early sales data has been promising as more people are checking out the system and the initial groups of users begin to report their results. The program comes with the tax sale guide for the investor’s home state along with a 3 part audio program which teaches the investor the rules and makes learning the tax sale business easy and fun at the same time. Buyers of the Tax Sale Guides can also purchase guides for additional states at the same time if they chose. The entry level price is $97 and varies based on the needs of the investor. The actual product release date is March 4th and the people are already taking notice of the testimonials available on the Internet as well as word of mouth from the early users and people in the industry. The expectation is that the course will do well because of the availability of information from all states, the reputation of the creator and the timeliness of the project. The tax sale industry had taken off recently during the economic downturn and continued through the recovery. Many of the strategies that are shared in the Tax Sale Guides were previously secret methods unknown by most investors. Now all that knowledge is being made available so that more people can take advantage of the chance to build a financial nest egg using the power of tax sales. Investors who have been nervous about using tax sales for investments are able to easily understand the material and have been able to begin putting it to use with great results.